Like many schools in Hampshire, we buy in the Hampshire Catering Service who employ our cooks and organise menu choices. We are lucky to have a large kitchen on the joint school site where our meals are cooked and prepared. Your school lunches are provided by award-winning caterers HC3S. At HC3S, our ethos is about tasty food to help your children flourish. And to do that it helps if they eat a healthy diet. By providing nutritious food, cooked fresh every day and which is responsibly sourced, we give your children a balanced diet with choices that aid concentration levels and give them energy to focus and to play. But we go a step further. We also want children to understand about healthy lifestyles and take this positive message into adulthood. That’s why we’ve created a ripple (not just raspberry) with our ‘Ready Steady Cook’ sessions which are fun and engaging and why we introduced the ‘Food to Flourish Classroom’ to help teachers educate children using food in a way that cuts across the curriculum. Where opportunity arises, we bring live cooking and workshops to the classroom and sometimes, out of the classroom, through partnerships with our suppliers and other local food organisations. We love schools to join in our celebrations for Nutrition and Hydration Week, British Food Fortnight, and National School Meals Week as key events in the food and drink calendar which are lots of fun. 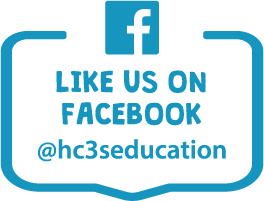 Want to know more about HC3S? ALL four to seven-year-olds in state-funded infant schools in England are entitled to a free hot meal at lunchtime every day. Free meals are available at Portway Infant School to ALL children. The menu provided by HC3S has two choices each day (including a vegetarian option) and children choose and order their meal (red or green) with the teacher at morning registration. If your child is not having hot meals they can bring a lunchbox. Copyright © 2016 Portway Infant School. All Rights Reserved.